First motel entering Spokane from west, last leaving going west. Take Geiger Exit on Highway #90 west Spokane. Closest motel to Airport. Every unit a suite, rates from $6.50. Largest motel pool. 24 hour switchboard. 62 deluxe units with TV. Member Golden Key Inn. Some units with kitchens. 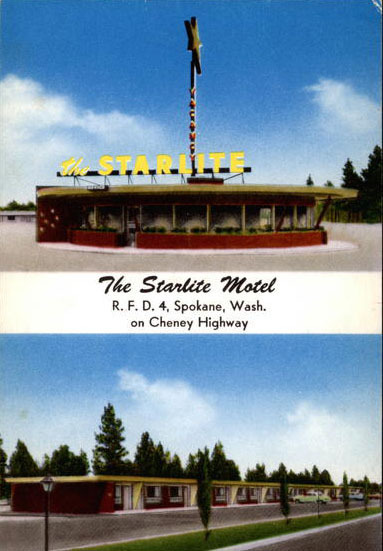 Spokane's newest, largest, and most ultra-modern motel. 62 units with kitchens. Phones in every unit.